Project Name: Use Color Matching to Make the Modern Office Furniture Solutions Full of Agility Ekintop Project Scope: Reception Area, Leisure Negotiation Area, Executive Office, Staff Workplace, Conference Room Project Number: P201862 Project Description: Do you pay attention to the colors when thinking of modern office furniture solutions? Do you know that professional psychologists think that colors can affect moods indirectly? The right mix of office furniture colors affects work efficiency. We take a look at the color of modern office furniture solutions and the impact it can have on the workplace and also how to select the right colors for our client’s new workplace. 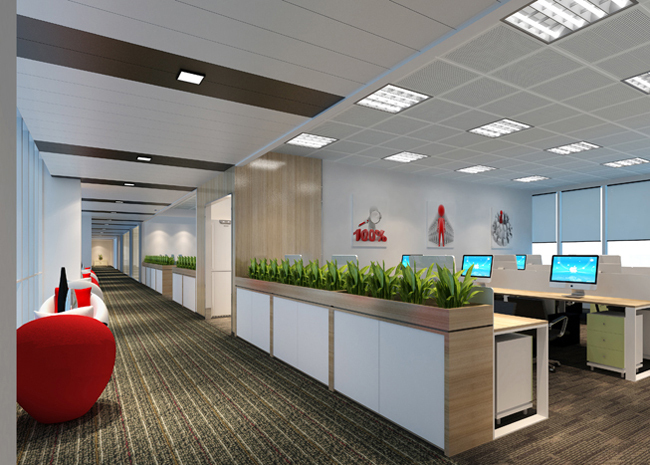 Warm-colored office furniture gives people enthusiastic, lively and warm feelings. It also makes the items look larger and makes a lesser sense of the space. Thus warm-colored office furniture is not suitable for spaces with a small sense of space and a tight arrangement of furniture. Cool tones give people a sense of calmness, elegance and solemn. They also make things appear to be small and make a sense of wider space. The cool tone is suitable for smaller spaces. Neutral shades give people a serious, rational feeling that they can be paired with any other color and have a wide range of use. 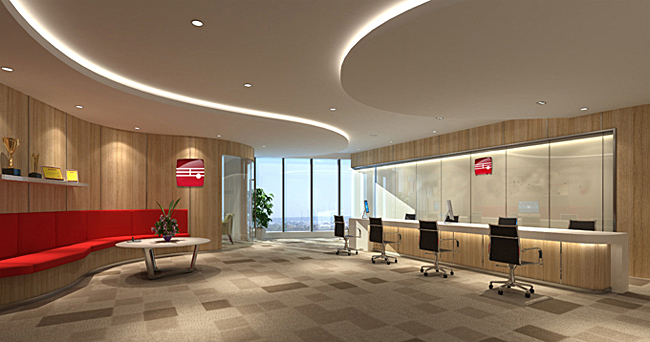 The main color used in the reception desk of the company is comfortable, the whole space will look stylish, generous and rich. 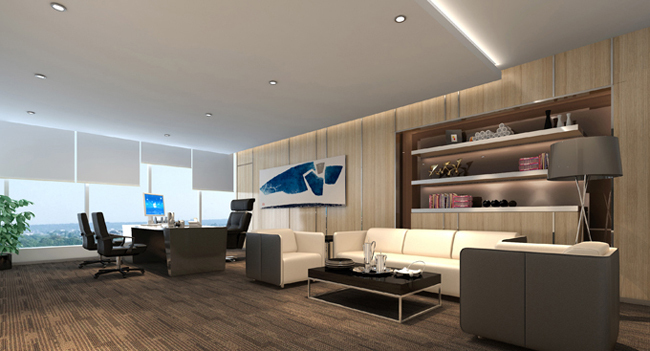 As for the hard decoration, the choice of the lamp, the combination of the furniture color and various elements indicate the gorgeous side of the office space. 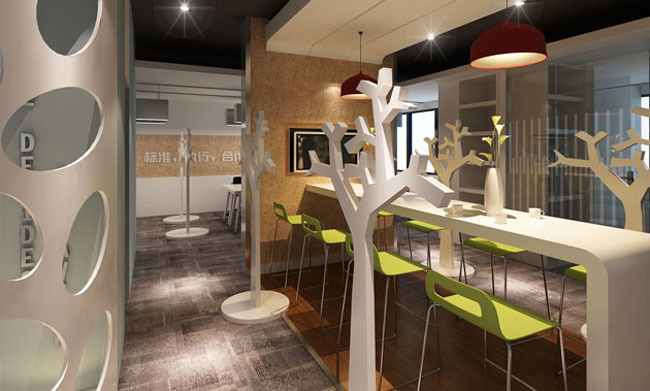 The office area combined with the passage area space makes the whole office area have a wider vision. And it is decorated with green plants and breaks the space limitation. It can relieve the fatigue of employees and at the same time fill the space with a sense of agility. The leisure negotiation area uses colors to create a fashionable space, which gives people a visual impact. This fashion feast makes every customer who enters the company feel excited. 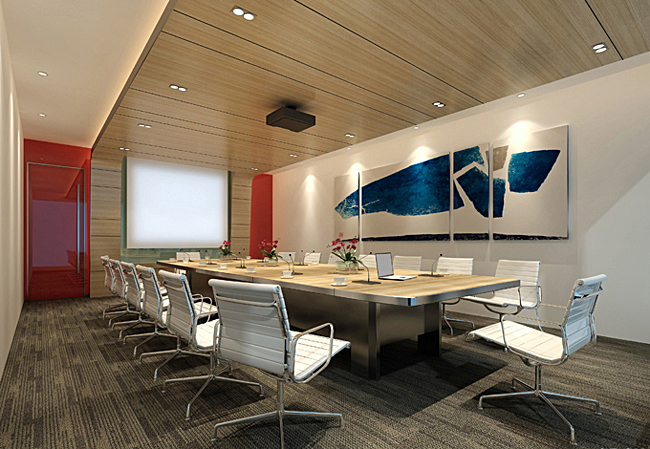 The modern simple-style of the meeting room features the simple and smooth lines and the function is powerful. All the details look very simple. The whole modern office furniture solutions looks also atmospheric, without excessive decoration. Everything starts from the function and the space structure is clear and beautiful. The general manager’s modern office furniture solutions the spatial pattern and makes full use of its favorable light path to properly handle the space lighting. The entire ceiling uses small and exquisite spotlights, which seems to give people a hope and a bright future. We offer custom modern office furniture solutions to fit any personality and style. 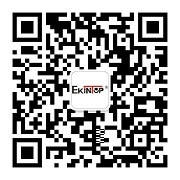 Start creating your dream office with Ekintop today!